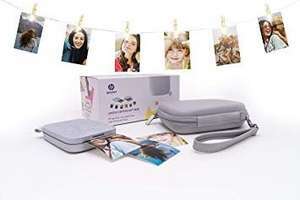 HP SPROCKET 200 BUNDLE for £85.49 which is the best price I have seen. Add the code just before you choose your payment method. Do you know if this bundle comes with any paper? This looks Great and the Extra Paper is 3 for 2 at the moment. Voucher posting newbie! This is Annaella first voucher post. Help out by leaving a posting tip or just to show your appreciation for their contribution.